Maximum Security, Maximum Speed! 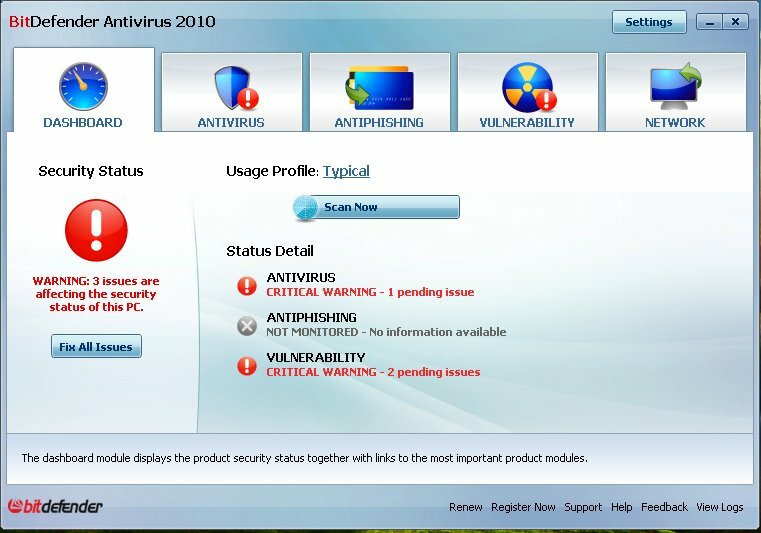 BitDefender Antivirus 2010 provides advanced proactive protection against viruses, spyware, phishing attacks and identity theft, without slowing down your PC. BitDefender , a global provider of award-winning antivirus software and data security solutions, has launched BitDefender 2010 – its new line of security solutions providing state-of-the-art proactive protection from today’s most damaging viruses, spyware, hackers, spam, phishing attacks, and other common Internet security threats. Maximum Security, Maximum Speed! BitDefender Internet Security 2010 keeps your internet-connected family safe, without slowing down their PCs. It locks out viruses, hackers & spam, while providing parental control and firewall protection.